Bay Area Pro Soccer history is filled with one and done stories. The Oakland Clippers played in the 1967 National Professional Soccer League, won the title, merged into the original North American Soccer League for the 1968 season, and faded away. The Oakland Buccaneers spent a season in the American Soccer League in 1976, before folding. The Oakland Stompers played in the classic NASL in 1978, before relocating to Edmonton after a single season. The San Francisco-based California Victory played in USL for the 2007 season, and folded. FC Gold Pride of the WPS managed to make it two seasons, 2009 and 2010, though with a change of home venue, finishing as champions before closing up shop. And just last year, the San Francisco Deltas filed a “won and done” season, lifting the modern day NASL title before shutting their doors. Outside of the San Jose Earthquakes, the rest of the Bay Area has not had a lot of luck keeping pro teams afloat, even if they have seen tremendous on-field success. Benno Nagel and Edreece Arghandiwal want to change that track record and build something for the long term for Oakland, from the ground up. Oakland lifers, they have been spearheading an effort to bring a pro soccer team to town for the last 18 months. What started as a humble plan for a semi-pro team caught the interest of real estate developers in Oakland. A full mixed use real estate development plan inclusive of a soccer specific stadium was presented through some very early stage proceedings within Oakland city hall, but the reality is that the Oakland Athletics’ situation is taking priority on any stadium development in town now. With that, the plan has come full circle back to starting with a semi-pro club and growing it from the grassroots up, while monitoring the real estate situation for a green light on their larger ambitions. Look for the club to kick off teams in a national semi-pro league or two in the next 12 months, with a women’s team joining the mix in Spring 2019. Benno and Edreece will have some competition for their longer range goal of a pro team in the East Bay region from the recently announced Mark Hall-led USL group. While it is not clear where Hall will plant his team within the East Bay area, Benno and Edreece are committed specifically to Oakland. On top of this, the Oakland Pro Soccer movement is equally about fielding women’s teams as it is men’s teams. Women’s soccer is anything but an afterthought with this group, as Benno previously coached within the FC Twente professional women’s department in Holland, and Edreece’s sister Hailai played four years for Santa Clara University and has featured for the Afghanistan national team. Another aspect of their plan that is unique calls on Oakland’s special connection to activism and social justice. Taking a page from the Lesotho-based Kick4Life FC, the Oakland Pro Soccer plan is to create a club driven by social enterprise. The vision is to marry Kick4Life FC’s core of community service with Detroit City FC’s celebration of pride in a town overlooked by outsiders. Midfield Press had the opportunity to sit down with, Benno Nagel, one of the drivers of the Oakland Pro Soccer movement, to discuss their short and long range plans, as well as the vision for the club. Benno is a former second assistant coach with Rayo OKC under Alen Marcina, and also previously worked in the world famous youth academy of GNK Dinamo Zagreb in Croatia. Prior to Croatia, Benno completed a coaching internship at FC Twente, working within the professional women’s department and youth academy. Also served in the past as Assistant coach with the Men’s Soccer program at Holy Names University in Oakland. Before that, Benno was also an Assistant club director and USSDA head coach with California Odyssey in Frenso, CA. 1. How and why did your project to bring a pro soccer team to Oakland come about? Any idea on when it will launch? It’s a long story but one I really want to take the time to tell, as I think it only adds to the magical track record of what can happen when regular old people make the commitment to try to authentically bring soccer to their local communities. 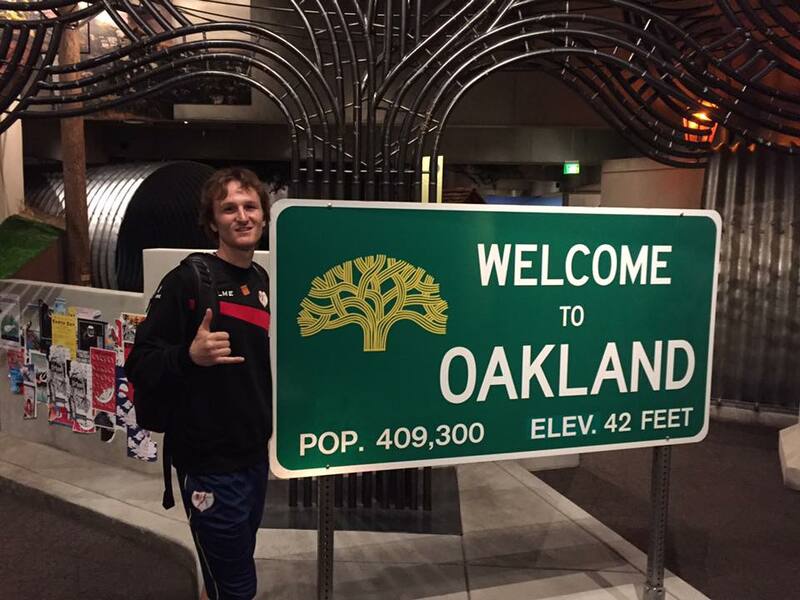 Upon returning home from my time with Rayo OKC, I was a bit tired of life on the road and wanted to really try and put some roots down in my personal life, specifically in my hometown of Oakland. So after a few weeks of R and R, I began developing a business plan for what I saw as a community based semi professional soccer club. At the time, I took a lot of reference from what I had seen over the years through several of the tremendously successful clubs around the country competing in both the NPSL and PDL. As I am by no means a man of wealth, I started engaging with former teammates who had gone on after playing to have been successful in the business world, as well as with several parents of youth players I had coached in the past who have also been very successful in their professional careers. After a few months, and through a lot of conversations and meetings, I had built a pretty talented advisory board for the project. This group included some senior executives from companies like Clif Bar and LinkedIn. Not people that I was asking money from upfront, but just good people who had taken an interest in helping me sound out this idea that was now very firmly alive within my head. I’d also by this time been able to discuss the concept with the directors and leadership of the local Oakland youth soccer community and had a lot of very positive feedback that people would be interested in getting behind something that was developed through a collaborative community process. At that point, I was also extremely fortunate to link up with my project partner and current co-founder for Oakland Pro Soccer, Edreece Arghandiwal. Edreece, is hands down one of the most talented business and branding professionals I’ve ever met, not to mention just a phenomenal human being and co-creator of this vision for an Oakland based team. I’m lucky to have him by my side on a daily basis. Shortly thereafter, we connected with Andy Dolich, who is a major sports executive in the Bay Area and has served in senior positions with the Oakland A’s, Golden State Warriors, Memphis Grizzlies and the San Francisco 49ers. We can’t thank Andy enough for his willingness to hear out a few crazy kids with an idea, and to have continued to make himself available to help us better understand how we can bring our vision into reality. For the record, the guy who first brought forth the idea of Oakland Pro Soccer was Peter Wilt, who really challenged us to think about the application of our model at the professional level. Peter remains someone we speak regularly to, and is again someone that we will be forever indebted to for his willingness to help us along the way, and still to this day might I add. Having now transitioned the concept to an Oakland pro soccer project, it really became a question at that stage of how are you going to sustainably create a model where a team can exist for the long term. How do you make a profitable business? 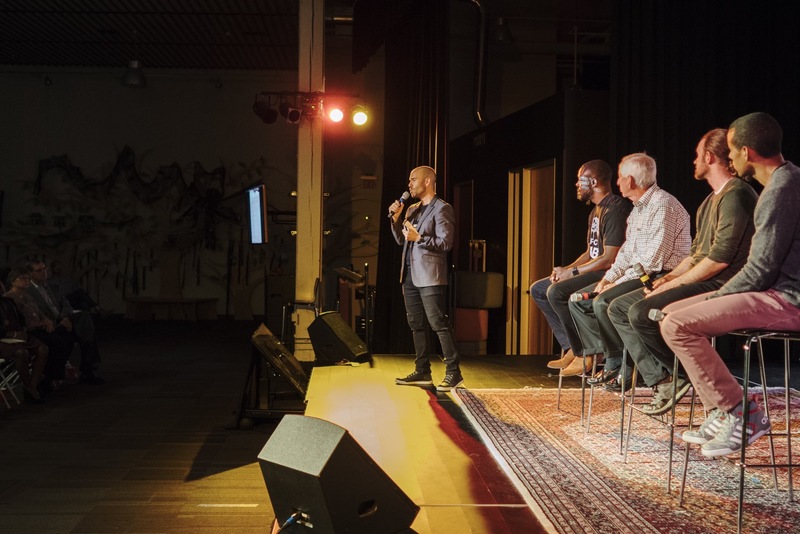 There’s certainly no shortage of startup money or investment interest in the Bay Area to create the next great idea, but the sports world has made very clear over the last years that having wealthy investors doesn’t guarantee long term viability. It really comes down to being able to own and operate your own facility. For Oaklanders, there’s a very real understanding around that fact as we’ve now seen it play out with 2 of our 3 major sports teams departing for stadiums elsewhere, with the 3rd team still looking for their own stadium solution, hopefully in Oakland. For Oakland Pro Soccer, our stadium solution came to us very serendipitously, and really elevated what’s become possible for this project. Around this time last year, a group of friends and I had been getting together in the mornings and holding soccer trainings. It was a group of pretty talented local players and as we all know, those types of players and personalities are always looking for a good practice to keep themselves going. Shortly after the New Year, we had a few weeks where we we’re getting around 20+ players, several of whom were local pro players back home during the MLS, NASL and USL offseason. It was a very good level of play, which is always fun to see assembled in a place as simple as a local soccer field with nobody around but the local park maintenance crews. We really had a diverse group of people in those few weeks. Pro players, aspiring pro players, up and coming youth players getting ready for the college transition and just regular old guys off the street still hoping to keep pace with the youngsters. It’s crazy sometimes how you really meet all types of people at sports gatherings, whether as a player or as a fan. And sure enough, one of the guys that came out during that period happened to also work in large scale commercial real estate. We got to talking after a few days and through sharing my vision and what we had been up to over the last 6 months, we agreed that Oakland could really be a city that would rally around a professional soccer team. More importantly, we resonated on the type of club that could be created and how that type of development could really bring a community based model to life. For me, to be able to deliver a development proposal to the city that would allow such a vision to come to fruition was pretty exciting and much unexpected. We’ve obviously seen instances recently where grassroots success stories like Detroit City FC, develop these very popular brands and followings only to get bypassed by large scale investors looking to harness the magic of what somebody else created to drive their own profit models. This really presented itself as an opportunity to try and develop a community based club and actually partner it with the financial engine that could drive it to where we all now such models can go if only provided with the proper support and backing to do so. Obviously, the developers are in a position to make a profit off of a development like that, but at the end of the day, development is a part of the evolution and growth of any city. And so while it was a bit of an uncomfortable situation for us, given the huge question marks that development understandably carries with it, we nonetheless felt that we would give our all to making sure that our vision kept true to itself and that if anyone was going to try and bring a pro team to Oakland with a development like this that the community would have a seat at the table and be able to inform the development process along the way. Through several months now of conversation and multiple meetings within various levels for the city of Oakland, we have presented a 13 acre mixed use development proposal to position ourselves for building a stadium in Oakland. Something which would be potentially inclusive of youth sports fields, a hotel, housing (including affordable housing) and office and retail spaces. 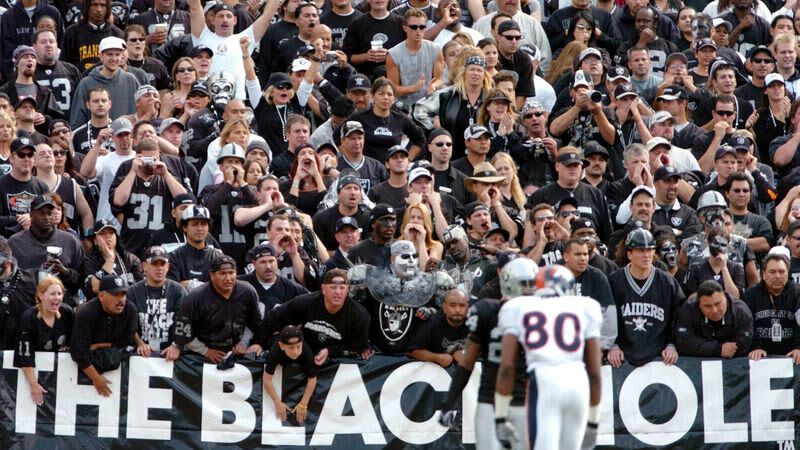 Right now, that stadium situation in Oakland is obviously very tenuous. The Oakland A’s stadium situation is ongoing and still does not hold any conclusive direction on exactly where and when they will settle on their very much needed permanent home in Oakland. Additionally, the Oakland Coliseum site, despite being shovel ready for a development, still holds many many layers of complexity in terms of its governance and vision for redevelopment, with our without the A’s on that site. This makes it very tough to make meaningful progress on securing any type of commitment for anything to go there in the short term. For the record, the City of Oakland wants a professional soccer team and have been very impressed with both the development proposal and the community based model that we have laid out, as well as the community engagement processes we have initiated through almost 1.5 years of local conversation. They just don’t have the ability to act in the short term due to these very real and pressing community question marks. As an Oaklander, I want what’s best for Oakland, even if that means an Oakland without a soccer stadium anytime soon. As a soccer fan, I obviously remain a bit biased, especially having experienced the power that soccer holds as a driver of social capital. We all know that a team and a stadium here can be very special, but we remain committed to what’s best for Oakland and will have to wait things out until action on that level becomes a bit more open for conversation. It’s therefore a bit of a mixed bag for Oakland Pro Soccer. On the one hand we have the financial resources and capacity to deliver a very serious development which we feel can tremendously benefit the city and community of Oakland. On the other hand, we have clarity from our conversations within Oakland that such a development is several years away. This project certainly did not begin with such lofty expectations. It has been a blessing, regardless of the present circumstances, to acquire such capacity within our group within a little under a years’ time and moreover to have undergone the early stage development proceedings we have been through over the last 12 months to lay the groundwork for a continued conversation with city officials. All along, Edreece and myself had discussed if we should attempt to go back to launching our original semi professional model as a way to kick start the larger processes we were simultaneously committed to through the development proceedings. It was a tough decision, but we decided that we would hold off on launching something until we had final clarity on the development timeline for a stadium. We would have never wanted to do anything that would have jeopardized or complicated the process. At that stage, your balancing investors for a separate semi pro team and how that may or may not fit into a larger pro ownership group, branding around a club name still yet to be decided, and of course still needing to decide upon the specific type of community based model we would want to pursue. And all of this within a development landscape that includes large scale capital development firms, potentially contentious development negotiations with the city and community stakeholders (as all development proceedings hold the potential for), community engagement around those proceedings and the million and one other day to day realities of leading a large scale development. And here Edreece and I are, definitely not real estate developers, definitely not gazzilionaires, and definitely beyond out of our minds, in a very positive way I would say, to have been somehow someway able to advance our very humble beginnings and vision into a project that’s holding conversations with the city of Oakland, the senior leadership of all three of the professional US soccer leagues around an expansion in Oakland built around a potentially multibillion dollar land development. So we put off our originally planned launch until about a month or so ago when the land situation finally became clear to a point where we felt action was finally justified. So with all that said in terms of how this all came about and again, apologies for the very long winded answer, you can expect to see an Oakland team within 2018 as we now turn back to the original semi professional model that we’ve been able to very much refine and enhance over the course of the last 18 months. 2. What’s the vision for the club? We intend to launch to US’s first truly social enterprise soccer club. There’s obviously a lot to that, and it’s definitely not something that we take lightly in terms of just throwing a label on something for the cool factor and then going out and operating in a completely opposite way. When you look at the power of soccer around the world, and more and more within the US as well, it really raises the question as to why that force hasn’t been harnessed in more ways than it has been to become a force for social good. And by force, I mean among many things, an economic force. Everywhere you look you can see the global business of soccer growing, and obviously here in the US the business of youth sports is becoming more and more of a topic of discussion and concern. So we look at it from the perspective of, if soccer is hands down the easiest conversation starter around the world, then how can we additionally start the conversation about how soccer can be a force for social and economic good? That doesn’t mean we’re removing from the conversation the passion or pure fandom from enjoying soccer as a form of sporting entertainment, but we really feel there is a huge disconnect between the business of soccer and what drives the community’s passion for soccer. We want to reevaluate the intersection of the two with the hopes of establishing a soccer business that succeeds when the community succeeds, and we think people will be passionate about that. And of course, we intend to play some good footy too! . We will be elaborating more on our model and the specific plan we’ve developed in the coming months as we inch closer to our official public launch, but imagine for a second if for every dollar you spent on season tickets, merchandise or anything you spend on the club as a supporter, that 5% of the profits from your dollars spent went to local nonprofits that the club has partnered with. Even more so, imagine if you as a fan could select any nonprofit you supported and designate that the 5% from your purchase went to that organization, even if it wasn’t currently partnered with the club. An approach like this creates a mechanism where fans can support their club while also giving financial support to an organization and cause that they believe in. Secondly, it encourages the community to give the club notice of causes and organizations they care about. Through allowing fans to choose where their funds go, we as a club can crowdsource that information and then make more informed decisions on organizations to partner with and causes to get involved with either locally, nationally or internationally. And we can raise some real money that allows us to give more than just lip service to the causes that both us as a club and our supporters on their own have taken notice of. There are unfortunately no shortage of social issues in Oakland, and with all of the growth and praise Oakland has gotten over the last few years, issues such as homelessness, food insecurity, crime, and many many more have only been exacerbated and brought more and more into the light of community conversation, concern and call to action. Given that, we want to use the club as a way to drive impact in Oakland and we believe, in turn, that people from our community would embrace the club as part of the many community built solutions that are already well underway here. If you were to take that one example, of which our model will present several more, the merchandise sales of any professional team in the world and provide fans with the option of making those types of decisions, I would argue that more dollars would be spent by fans on merchandise, more dollars would be delivered from a club to a community which would only strengthen the bond between the two and overall, and more revenue and profit would go to the club. All of this, and again I have to kick myself as a soccer person for not having once mentioned our vision for the development of players and the work we intend to do on and off the field to grow the game in Oakland. We will have to leave that for another interview. 3. It seems to me that professional teams have been trying to get out of Oakland for so long, that they are finally pulling their moves off at the wrong time, when the East Bay is booming. We see the Warriors and Raiders on their way out of Oakland. What do you think makes Oakland a great market for pro soccer? I don’t know if those teams wanted to leave Oakland. They just got better deals where they were going, at least in terms of how they viewed the benefit of the deals they received elsewhere on their end. I think it was more a combination of stuff not working out and having to move forward, although I have in no way shape or form been privy to the proceedings of those stadium deals. And I also say that as an Oakland sports fan who grew up going to games for all of the Oakland teams and who was really upset, especially to see the Raiders go to Vegas. From another perspective, Oakland is in dire financial trouble from a government perspective and I am very, very happy to see that our elected officials have not moved away from their firm stance that public dollars will not be spent to finance team’s stadiums. With all of that said, Oakland is an amazing city so it’s again sad to see teams leaving at this stage in our city’s growth. While we’re now being tabbed as a city on the rise, for people who have lived in Oakland their whole lives or at least been here for a long time, we already know how awesome the vibe of Oakland is. It is a unique culture that like with any locale, you can’t really understand unless you’ve been around here a while. There is a tough aspect to Oakland, which is an unfortunate reality, but it also has a very rich history and vibrancy of culture, art, music and political and civic activism that meshes nicely with everything around here. If you look at Oakland today, there are only more and more people coming in from all over the world which only further our status as an international city. If you walk around Oakland today you see all walks of life. And so again, if Oakland is this global city, and soccer is the global sport, then why not a soccer team in Oakland? 4. The USL just announced that they have sold the rights to the East Bay to a group based out of Walnut Creek. 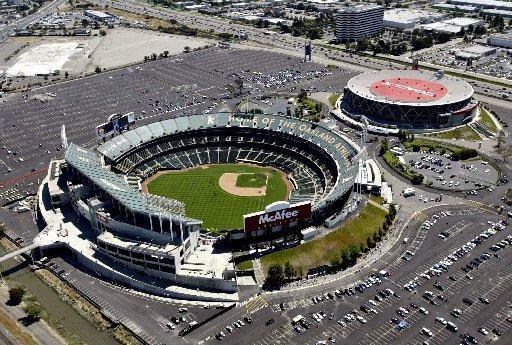 The group plans to build a 15,000 seat stadium in the East Bay region. How does this affect your plans? It doesn’t change anything. We essentially presented the same type of development, and had been in talks with the USL, but specifically for Oakland. If anything it is a tremendous success story for soccer. The fact that a guy like Mark Hall, with his track record of success in business and pretty much the freedom to choose anything upon which to devote his time and energy has chosen soccer definitely says a lot about how far the sport has come in the US and of course, in the East Bay. So first and foremost, we are excited that is going to happen even if it’s still three years away in 2021. At the end of the day, USL2EastBay, like Oakland Pro Soccer, is going to provide more opportunities for people to play and enjoy soccer, and it’s going to provide inspiration and motivation for more youth to commit themselves to a life and lifestyle that has soccer as a main pillar within it. That’s a good thing! In terms of where they’re planning on basing themselves out of, we are not sure where they are going to be, and I don’t think that they even know where they’re going to be as they don’t have a stadium deal secured anywhere in the East Bay yet. They’ve also clearly adopted an East Bay brand which 100% works well in many parts of the East Bay region, but doesn’t really translate very well within Oakland proper. But either way, the recent announcement doesn’t change our plans at all because we are not seeking to be an East Bay club, we are seeking to be an Oakland club. What would Atletico Madrid be without Real Madrid? What would the Mets and the Yankees be without each other? We all rise with the tide, and with soccer still with significant challenges to overcome in order to truly arrive in the mainstream, I think the better we can work together the better we will all end up doing. 5. Beyond the Bay Area, pro soccer is booming in California. LAFC is joining MLS next year, and seems to be set for a very successful launch. Sacramento has been one of the most successful clubs below MLS. 1904 FC is ready to kick off in San Diego, along with California United FC in Orange County planned for NASL. Fresno is joining USL. Orange County SC just announced Keisuke Honda is joining their ownership group. Why do you think soccer is doing so well in California, generally? California is a very interesting place because it has the combination of 3 major demographics that are conducive to the success of soccer. Obviously, California has a huge Latino community. There is no need to explain how powerful soccer is in that community. Our state also has, in the Bay Area, Los Angeles and San Diego, a huge international community which we know is already a firm believer in soccer. Within those areas you also have the tech industry which provides some really interesting applications within soccer, beyond just capital funds to invest in soccer, though that’s definitely there as well. And even among the mainstream suburban California families, youth soccer has grown and become a massive thing and an industry with some very well documented, for better or for worse, revenue streams. When you look at those three demographics combined that is like 95% of Californians who are in some way shape or form connected into soccer, or at least have a friend who is. So a bright future we hope for our sport in this state, with the recent launches of pro soccer franchises as indications of that. The Deltas were the Bay Area’s latest “won and done” team Photo: Robert Edwards-Robtography. 6. The most recent group to bring professional soccer to the Bay Area was the San Francisco Deltas. While they were tremendously successful on the field, winning the NASL championship, they did not meet the ownership group’s expectations off the field, and lost a lot of money in the process. What can you learn from the Deltas experience to bring a sustainable club to Oakland? The first thing is that on-field success does not dictate business success. You want to have a successful team on the field, but it is also important to build a team around the history of the community. You have to know your roots. I can’t speak to what the Deltas did in that regard. I know they had some amazing people working on the project who did their best with it. From what I’ve heard they maybe could have engaged a little better with the community in the earlier goings. If they had come in with a more affordable ticket price structure earlier than they did it would have probably helped a lot as well. But to their credit, they tried to do a lot of good within the community. I hate to be the backseat driver, especially at this stage, but I honestly think that if the Deltas had come into Oakland with even a similar approach, they would still be around. That’s not a knock on them as much as it is on San Francisco, and not even a knock on SF as it’s just a reality of the times there. San Francisco has so many world class entertainment options that short of signing several world class players it was going to be really hard to get consistent traction in that community. I think Oakland is a different city, for a lot of reasons. We always say, Oakland is a big city but it is a small town. I swear, everybody in Oakland is connected by no more than 2 to 3 degrees of separation versus San Francisco where you have a lot more people who don’t have roots there with the city or really even to one another. Oakland’s obviously got its own hustle and bustle, but we like to pride ourselves on having a little bit more of a grasp on the goings on here. It’s a town you feel like you can touch all within a single day, and SF just really doesn’t have that feel and as a global tourist destination I don’t think that it should or needs to. 7. With USL seemingly spoken for at least at the Division II level, which leagues – both short and long term – are you looking at placing the team in, and what advantages do you see to each league? Everyone is waiting to see what will happen with the NASL. And for the sake of all the people involved in that from owners, players and staff and especially to the fans, we hope that there is positive resolution there. You also have NISA working very hard to get itself going and with some very exciting proposals for what we all know soccer can be in the US. So at this moment we don’t know what the landscape is going to be like yet, but assuming NASL survives or that NISA gets up and running, or both, we will be in one of those leagues. That could be as early as 2019. But what I can say that I’ve learned from the last two years, is that we (myself included) often lose focus on the whole league conversation. Does an 8 year old kid really care what league he’s going to watch? Or does a fan support a team because they’re in a particular league? I don’t think so. People support a soccer club because it leaves them with a positive feeling and a positive experience. The global business of soccer is built around that. 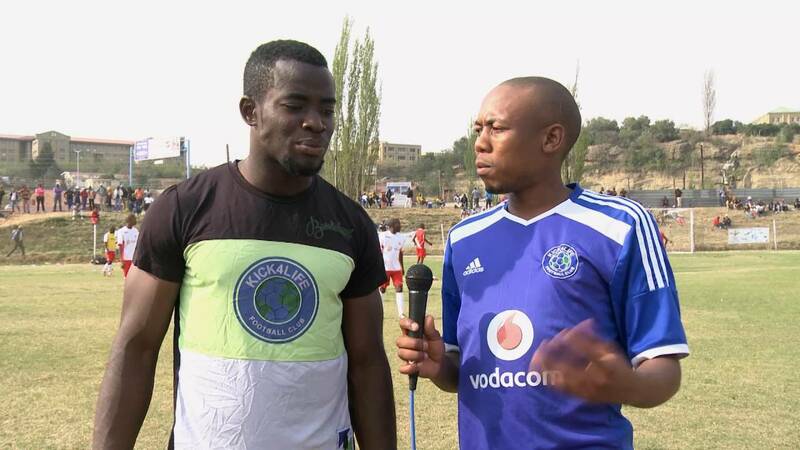 People supporting their local club, their local players and enjoying competition with the other teams around them. That’s what originally grew the business opportunity for the professionalization of soccer, not a league. So right now, our focus is finding a league where we can just get started, such as the UPSL or NPSL. Not to discredit the utter importance of the league you play in. NASL has made that very clear for us all. There has to be stability and long term viability. But we don’t want to just wait for a professional league to save the day for us. We know what our brand is about, what we want to do, and the model we want to pursue. It’s also a huge point for us to make clear from the jump that this project is as much about women’s soccer as it is men’s soccer. We will be fielding a women’s team from Day 1. Too many female players are lost to the game because options just aren’t there to continue playing at a level that can keep their drive and dream alive. We hope to be a part of the ongoing solution to provide an equal playing field for men’s and women’s players. These aren’t just going to be players in a team, these will be young men and women who will be role models and community leaders. More importantly, we hope for them to be inspirations for the countless young girl’s and boy’s in Oakland. 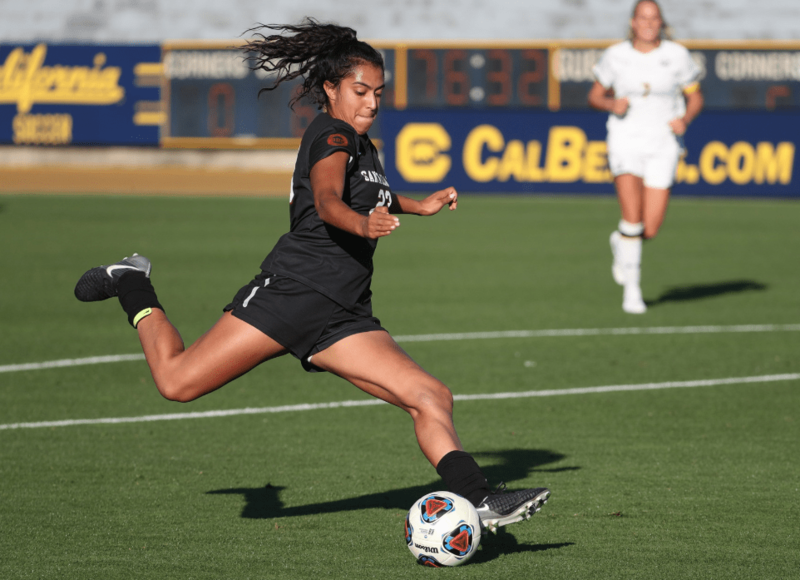 Gender shouldn’t be a limiting factor for soccer’s growth and it won’t be in Oakland with our club. 8. Who is involved in the ownership group that you can share today, and what are the backgrounds of the people involved? Are you still seeking additional investors or is the group settled? It’s interesting because we’ve had investor conversations that have spanned from our original semi-pro model to that of a mega real estate development and now back to a semi-pro model with the professional pathway and development potential still very much established and in the mix. So we’ve been engaged with a lot of people. We can’t comment right now on the individuals involved in the ownership group as we’re still in our initial capital raise period and haven’t come to final terms with several of the people we’ve been fortunate enough to potentially bring into the project. While we do have some people already committed to the group, we are still looking to round out the investor group to tailor it to the specific model and vision for our project. Anyone who follows expansion teams can appreciate that. Ownership groups have to carry a diverse collective of people and talents. And they have to have the financial ability to make a long term commitment to the plan, with an understanding that it’s a long term investment. Our operations model calls for an annual budget in the hundreds of thousands, and we want to spread that investment within our group in an appropriate way. But what we can say is that the people involved and the new people that we will be bringing into the group will be joining us with the understanding of what our vision and model is. This is about Oakland first, always. Our ownership group will be reflective of that. You can expect to see the majority owners of this club as being people who are committed to that. 9. Are you looking at building a stadium in Oakland, using an existing venue or something in between like using an existing venue until your stadium is built? Building a stadium in Oakland is the ultimate goal. That’s what gives long term sustainability to a project. Of course we’re talking about professional soccer at that point. Our conversations around a stadium with the city of Oakland have gone as far as they are going to go in the short run. We’ve covered a lot of ground with the city, the real estate developers in our group are actively monitoring that to see when an opportunity becomes available. But it is not happening tomorrow. It’s just the reality of where it is at right now, and to be honest it’s just the way real estate works. You don’t just buy land on Monday, get it zoned and entitled on Tuesday, close out any legal challenges or lawsuits on Wednesday and then break ground and fully erect the stadium in time for a Saturday night kickoff. It would be great, but it doesn’t work that way. In terms of venues, Oakland doesn’t really have a clear cut venue to host soccer. If it did, you would already have a pro team here. So we will be looking at pre-existing venues where we can start to operate the model, and continue to go from there. But we see that perceived weakness to actually be our strength. There are some very intimate and historic places in Oakland, and we intend to add high level soccer to the magic of these local venues. Details will be coming out later this spring as to where we see ourselves starting out. 10. Do you have a plan to start an academy or develop partnerships with youth clubs in the East Bay area? Definitely no plans to start an academy. We don’t want to replace the pre-existing community. Soccer clubs fail a lot in that because they come in and expect that they can bulldoze the pre existing youth community because they now possess this golden ticket of high level or pro soccer. Back to our model, we want to partner with the community to elevate what is already going on. We naturally want to work with those youth clubs to provide them with a pathway for their young players to play for our teams and hopefully advance to college or the professional ranks. But keep in mind, the majority of youth players and even the majority of our players will not go pro. So the idea of working with and within the community to develop good people, and good residents of Oakland and the East Bay is what we’re looking to do. 11. 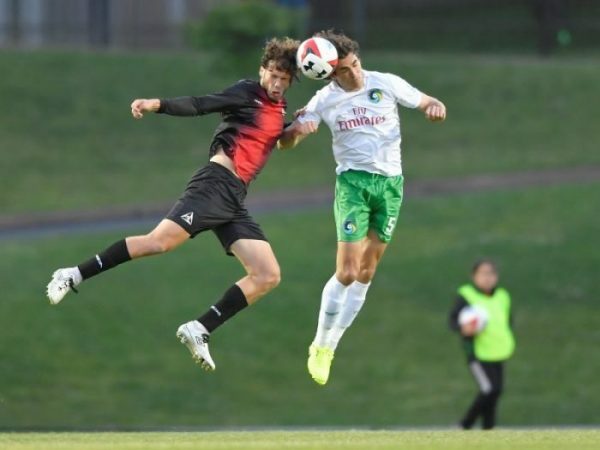 Have you been working with any of the NPSL, PDL or UPSL teams in the region, such as the East Bay Stompers and CD Aguiluchos USA who play in or near Oakland, or the guys up in wine country (Sonoma County and Napa Valley)? We haven’t had direct engagement with those groups. We have been developing our ideas and concept and wanted to get ourselves firmly along within that before we started going out to the public. We definitely want to respect those clubs and can’t stress that enough. These are amazing people working very, very hard to provide young players with an environment within which to keep their dream of making it as a pro alive. Even more importantly, they’re providing them with the chance to feel like they’ve had a real soccer career. That’s huge when we talk about the retention of players within the soccer community. So we are not coming in here trying to replace anyone, just as with the youth clubs. We believe that the more successful that the other adult clubs around us are, the more successful we will be. And hopefully our success will drive success to them as well. Again, we believe we all rise with the tide. The East Bay Stompers have a player pool of like 100 players. That’s awesome. That’s 100 guys who get to wake up each day knowing they’re in the mix to play at the NPSL semi-pro level if they just keep doing their best to do the right things and keep developing themselves. Aguiluchos, another local NPSL team, has one of the best teams in the Bay Area (non professional) although I’m sure El Farolito would rival that comment! That’s going to be a great match up to watch in the NPSL this year, and again you can also never count out the Stomper’s who have some serious team chemistry that we know they will be carrying into this 2018 season. 12. Speaking of the Stompers, who borrow from the legacy NASL name, have you given any thought to how you will brand the team? We love the fact that there is a history with the Oakland Stompers and Oakland Clippers, but we have no intentions of taking either one of those names. The biggest reason why we would not use the Oakland Stompers name is out of respect for the amazing work the East Bay Stompers are doing. The group behind that club have been carrying that name since the childhoods of their management/ownership group. They all played as the Hayward Stompers growing up and were able to go out and bring it to life again as adults. That again shows the power that a pro team can have on people. The Oakland Stompers, a “failed” pro sports team, still was able to touch the lives of local people who have made it their life’s work to further soccer opportunities for young East Bay players. That’s what it’s all about! For our name and our brand, we are really trying to fine tune what is going to be – it is definitely something that is going to be reflective of Oakland and have Oakland in the name. We’re going to have a community conversation about some of our ideas for names and logos and get community feedback. We’ve got a few things cooked up, but we have to respect the process and our model of community participation to really do right by that before we announce anything. 13. Is there anything else you would like us to know about your efforts to bring pro soccer to Oakland? First, look at Detroit City FC because we feel that Oakland shares a lot of similarities with Detroit. Obviously with an Oakland twist on it in terms of the imagery being different and unique to Oakland and our culture here. Detroit City and their supporters have given a city that has gone through some hard times something to be proud of, and that really inspires us in what we are doing. Kick4Life FC is another model to look at. It is a Lesotho-based social enterprise club that has done amazing stuff in that country. They provide award-winning humanitarian work, serving the community and have brought some very meaningful economic development to their city, including employing actual players from their team in the community as health advocates, while also launching an award winning restaurant and hotel. They also operate men’s and women’s professional teams, and have sent many players on scholarship to college programs in the US. It’s truly a social enterprise club, and the world’s first for that matter. We really plan to appropriately integrate as many of those principles into what we are doing. Locally, the Oakland chapter of Soccer Without Borders is a group we would really like to further raise awareness about through our existence. Beyond being recognized this year by FIFA, which they 110% deserve, they serve some youth facing very challenging circumstances on a daily basis, often times without recognition. I also want to note two people. First, Mike Geddes, who is Managing Director of Street Football World USA. Mike has been a close confidant and collaborator in this project and process. SFW has famously launched the Common Goal campaign which asks for all professional soccer players to donate 1% of their salaries to global charity. Mike’s vision and passion for what a social enterprise soccer club can be in the US has guided our direction and continues to do so as we speak. And lastly, we want to highlight one of our partners in this project and a member of our management team, Aaron Dolores and his company Black Arrow FC, which finally seeks to provide a home for the intersection of black culture and soccer on a global scale. People in the soccer community and around the US will be hearing more and more about Black Arrow FC through Aaron’s independent work on that but given that Black Arrow is based in Oakland, we’re very fortunate to have a man of Aaron’s talents and a brand as exciting as Black Arrow to be in our own backyard and involved with the launch of our club. All in all, Oakland has a lot of ingredients for why soccer can be a major success here. And we’re just grateful to be along for the ride.